Ahead of the forthcoming sophomore full-length ‘Without You’ on Hyperdub, Kevin Martin’s ‘King Midas Sound’ project has released the first part of a short documentary feature. The follow-up album to the group’s premier ‘Waiting For You’ is set for release on digital and vinyl formats on November 8th. Although a collection of remixes and revoicings of originals, Kevin Martin and crew insist this release stands firmly on its own as well as its predecessor. A full tracklist is available beneath the fold. Ron Fricke’s ‘Samsara’ the follow-up to the critically acclaimed ‘Baraka’ debuted Sept 11, 2011 at the Toronto International Film Festival. View the trailer and read additional info ahead of the US launch August 2012. ‘Samsara,’ Ron Fricke‘s follow-up film to his critically acclaimed non-verbal epic ‘Baraka‘ has been in development for years with very few updates. The film premiered in Toronto, Canada on September 11, 2011 at the Toronto International Film Festival. It has been announced Samsara will debut in American theaters beginning August 2012. This one was posted on Sonic Router the other day, in addition to being linked to me by a number of friends in emails and IMs. For those who haven’t seen it yet, I will share it here. Jamie Whitby and Rachel Lob-levy’s documentary features appearances from such mainstays and trend-setters as Roska, Blackdown, and Scratcha DVA, as well as some live footage of SBTRKT. Definitely recommended watching here, a HD version is available through Vimeo. Future Sound – An Underground Electronic Music Documentary – HD from Jamie Whitby on Vimeo. Great interview from the Playground Magazine camp as they highlight Terror Danjah upon the release of his first full-length issued on Hyperdub. Having established himself at the forefront of the UK Grime scene with his immense list of productions, it’s exciting to see his talents finally displayed in LP form. Check out Playground Magazine’s interview and a near 20-minute ‘day in the life of Terror Danjah’ documentary over on their website. Whether you are a long-time follower of his sound or a grime neophyte, Terror Danjah is typically a jokester and although I haven’t had an opportunity to watch it yet, I don’t expect it to be a disappointment given his recent shenanigans hosting on RinseFM. An absolutely brilliant article from the Always Everything blog outlining the Leeds collective of Ben UFO, Ramadanman, and Pangaea that has become the ground-breaking and genre defining Hessle Audio label. The mark these three have left on the modern bass music scene is clearly undeniable; their Sub.FM radio show, Rufage Radio was picked up recently by RinseFM for obvious reasons, Resident Advisor has featured them as label of the month, and their productions and dj sets are always top notch. Additionally, they are some of the most humble and courteous people I have encountered. 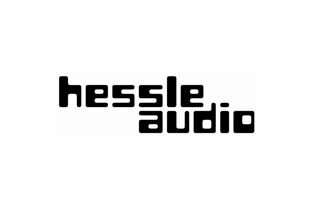 Read History of Hessle Audio, regardless of how much you already know about these guys for a wonderful look at music that never fails to defy expectations. Hessle Audio broadcasts this evening on RinseFM at 2300GMT (6PM ET) featuring the dj work of Ben UFO, Ramadanman, and guest Shortstuff of the Blunted Robots crew.